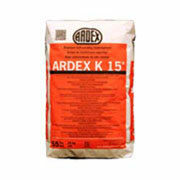 ARDEX K 15® is the original and the most specified self-leveler in North America. Install over: interior concrete, terrazzo, ceramic and quarry tile, epoxy coating systems, wood, metal and non-water soluble adhesive residue on concrete; can be installed over concrete treated with certain curing compounds. 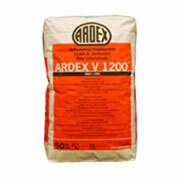 ARDEX V 1200™ is the trusted leveler for big jobs on tight schedules. Install over: interior concrete, terrazzo, ceramic and quarry tile, epoxy coating systems and non-water soluble adhesive residues on concrete. ARDEX K60™ ARDITEX offers unmatched flexibility and adhesion. Install over: interior concrete, terrazzo, ceramic and quarry tile, steel, select epoxy coating systems and non-water-soluble adhesive residue on concrete. 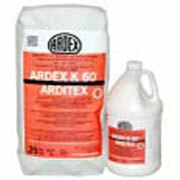 Can be used on permanently wet areas prior to installing ARDEX MCTM Moisture Control Systems. Contact the ARDEX Technical Service department for a jobsite recommendation. 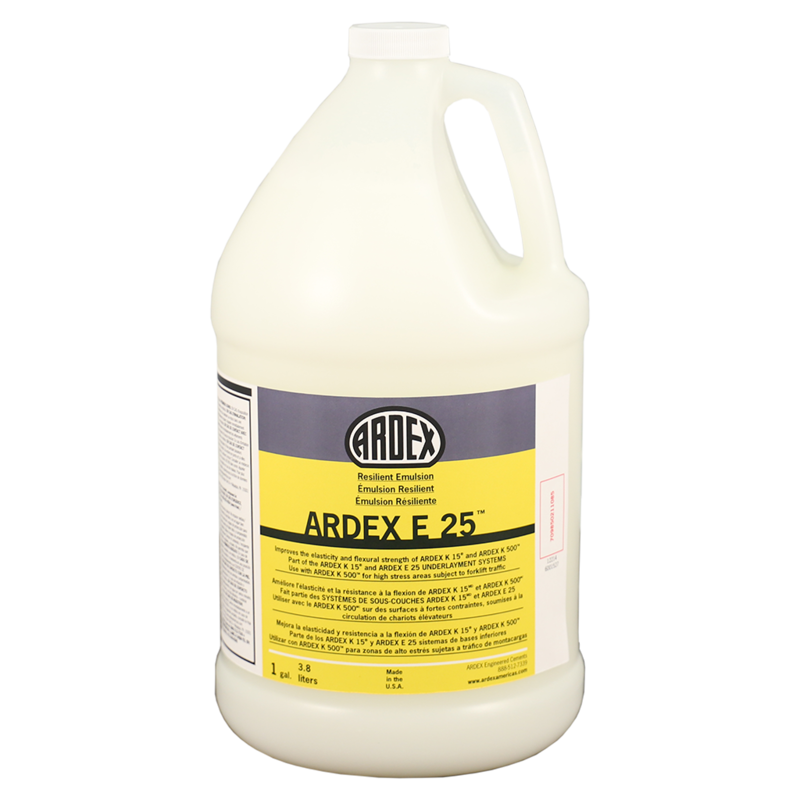 ARDEX E 25™ improves the modulus of elasticity and the cohesive and flexural strengths of ARDEX K 15® Premium Self-Leveling Underlayment and ARDEX K 520™ Self-Leveling Concrete Topping. 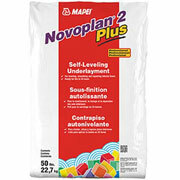 Novoplan Easy Plus is an improved, high-strength, self-leveling, calcium-aluminate-based underlayment and repair mix for interior concrete and engineer-approved floors. 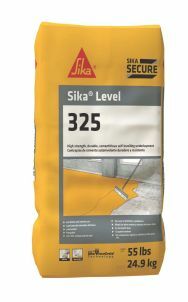 Its unique formulation allows for direct application on substrates that are clean, securely bonded and properly primed. 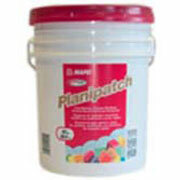 Planipatch is an ultra fast-drying, self-curing, polymer-modified, cement-based patching compound that rapidly develops high compressive strength. 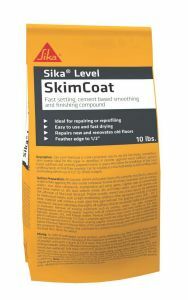 Use for smoothing, patching and filling cracks, holes, voids and depressions in concrete and approved wood underlayments prior to the installation of floor coverings. Floor coverings can be installed just 1 hour after application. Mix with Planipatch Plus™ to use as an embossing leveler or patch over properly prepared vinyl sheet goods, vinyl composition tile (VCT), cement terrazzo and residual cutback adhesive surfaces. ARDEX FEATHER FINISH mixes to a creamy, smooth finish underlayment that eliminates flooring installation problems associated with disbonding, crumbling, mold, mildew and staining. 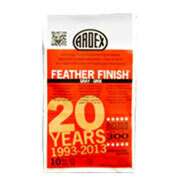 ARDEX FEATHER FINISH may be used as an embossing filler when mixed with ARDEX P 82TM Ultra Prime. Install over: concrete, masonry, wood, terrazzo, and ceramic and quarry tile - as well as properly prepared residues of cutback and other non-water-soluble adhesives on concrete - all without the need for priming or the use of a latex additive. ARDEX GPS™ General Patch & Skimcoat is a trowelable patch and skim coat for use over interior concrete, wood, ceramic tile, and cutback and other non-water soluble adhesive residues on concrete. ARDEX GPS can also be used over vinyl composition tile (VCT) and as an embossing filler for residential sheet vinyl when mixed with ARDEX E 25™ Resilient Emulsion. ARDEX GPS will provide a permanent, smooth, durable finish prior to the installation of residential and most commercial floor coverings. 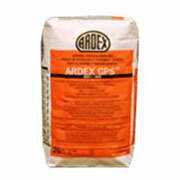 ARDEX GPS hardens quickly, is easy to apply, dries fast without shrinking, cracking or palling, and does not need to be sanded.